When you ask Jussie Smollett — one of the breakthrough stars from Fox’s uber-successful TV show Empire — how he wants to be introduced, he always leads with the word activist. 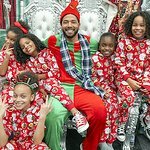 With his mother’s voice and a sense of the type of real activism that generates change imprinted on his psyche, Jussie is not satisfied just using his voice and celebrity to draw attention to the HIV/AIDS epidemic. 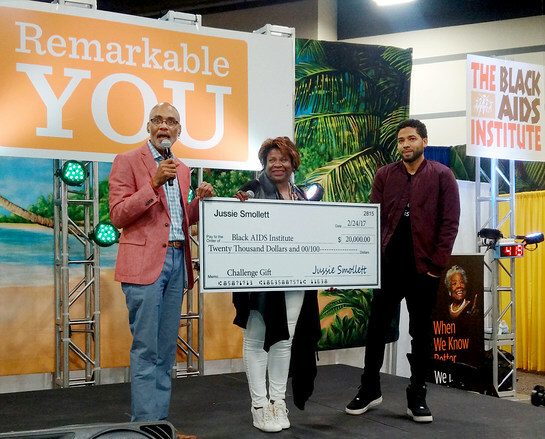 He recently leveraged his $20,000 gift to raise $40,000 for the Black AIDS Institute. Individual gifts demonstrate not only the power of philanthropy but also of the impact that individual donations can have no matter their size. When faced with the Institute’s recent budget shortfall, Jussie immediately stepped up. Realizing the importance of engaging others, he had the foresight to make his $20,000 donation a challenge gift, where a donor makes a contribution contingent upon other donors also contributing. Smollett’s next project for the Black AIDS Institute is chairing the 2017 Heroes in the Struggle Gala in September. "As a member of the Black AIDS Institute’s Board and past Heroes in the Struggle honoree, I’m so excited about this year’s event. I can tell you, this year’s awards presentation is going to be a huge departure from our past shows. Number one: All of the 2017 inductees are going to be women. I know from my personal experience, women have been so important to this fight. While I’m not going to give away all of our secrets, I can tell you one of this year’s honorees will be none other than my TV mom, Taraji P. Henson. The Gala promises to be one of the events of the year. The other “sheroes” are equally beautiful, talented and fierce as Cookie Lyon." Jussie can be seen on the big screen in Alien Covenant, the latest installment of the Alien franchise. And of course, you can catch up on the life of Jamal Lyon when Empire returns to Fox for its fourth season, premiering on Wednesday, September 27, at 8:00 p.m. Eastern/7:00 p.m. Central.